In 2013 I saw a small wooden lap loom on Ebay and not really having a clue what it was, I bought it anyway. I didn’t realise that this would be the start of my love for weaving. Teaching myself with books from the library and anything I could find on the internet I managed to find my own style and am well and truly addicted. Trying to create as much texture in my work and exploring the use of colour I look forward to where this weaving journey will take me. Please get in touch if you are interested in any of my pieces or would like a bespoke wall hanging. I would love to chat to you about it. This class is ideal for beginners who are interested in learning the basics of weaving on a lap loom. 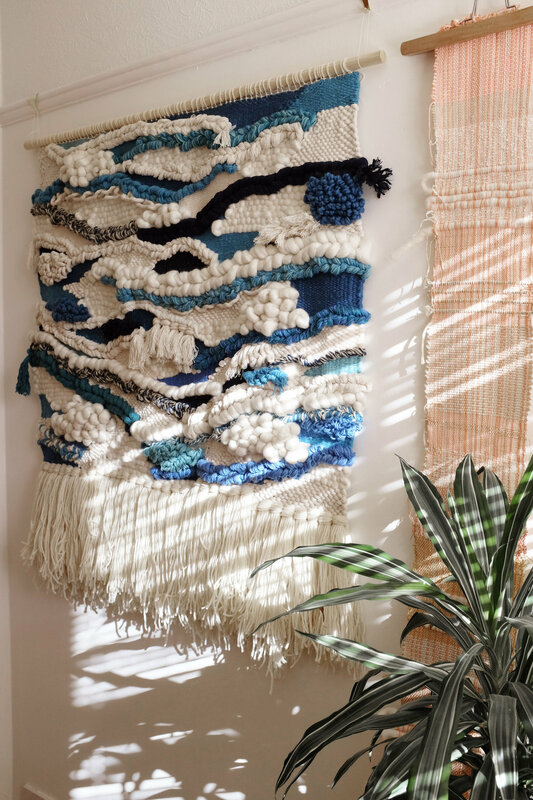 Weaving is a fast growing trend, is well known for its therapeutic tendencies and allows you to play with texture and colour culminating in the creation of your own wall hanging. The class will cover how to warp up a loom including how to get the tension right. You will learn how to make tassels to give your wall hanging a simple fringe finish. It will cover various weaving techniques which I will talk you through step by step throughout the lesson. 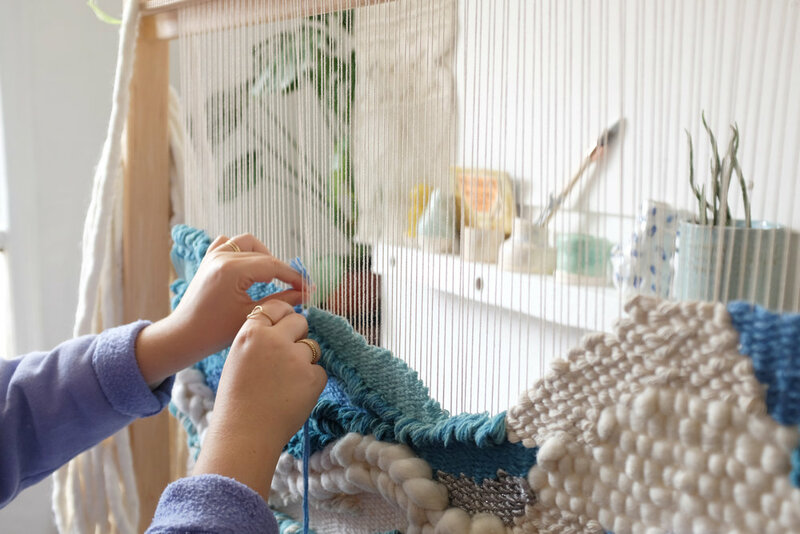 You will be encouraged to experiment with colours and textures using a selection of yarns and roving to create your piece. You will then be shown how to take your weave off the loom and get it ready to hang using a piece of doweling which will give your wall hanging a perfect finish. All materials will be provided and you will get to go home with one small but wonderful weaving ready to hang on your wall. Classes are limited so please be quick if you would like to book. Image taken by Silkie at The Forge.